MSL’s primary mission is planned to have a duration of 1 Mars Year (669 sols – 687 Earth Days). Science team operations will last 6 months longer than the MSL mission on Mars regardless of the number of mission extensions. Science activities will occur at all times during the MSL mission with the exception of 10 sols for rover checkout after Entry, Descent and Landing, 20 sols of minimal operations due to the superior solar conjunction of April 18, 2013, 10 sols that are planned for software updates spread over the entire landed mission and several short maintenance periods. MSL is a discovery-driven mission providing a large extent of flexibility to its operators. How and when the science instruments are used to accomplish their mission objectives will be decided as the landed mission progresses. The rover’s activities will be divided in sampling and driving periods. The landing site’s environment will influence the ratio of driving to sampling. Activities on particular sols are limited by a number of constraints that have to be calculated for each sol. Factors like Earth-Mars Geometry, local time phasing, communication windows, downlink volume capabilities and energy limitations drive the decision making process. Science activities will require more electrical power than the MMRTG provides and rely on the batteries. Battery capacity, RTG output, battery recharge capabilities and state-of-charge planning over several sols in advance are critical for science operations and planning procedures. Thermal requirements also play a role in science planning. Equipment heating predictions are essential to develop science plans. Heating requirements vary over local time and season driving the amount of science activities that can be done with the energy that is not needed for keeping all systems alive. Science activity will be focused on the daylight portion of the sols. Commands and plans for the upcoming sol are sent via the overnight communication pass of the MRO Orbiter or directly from earth during the early morning hours (local time). The rover completes its tactical science activities (especially those that influence planning for the next sol) in time to return the data on a communication pass taking place in the mid-afternoon hours. During the time until the next morning comm window, the science team on Earth analyzes the downlinked data to develop a plan for the upcoming sol and prepare the sequences/commands for uplink. Data that is not necessary for science planning of the next sol is returned on a later pass – overnight or during MRO comm windows. For the first 90 sols of the mission, the science team on Earth will live on Martian Time in order to execute the operations plan described above. For the rest of the mission, the start time of the prime shift will be tracking Martian Time slipping forward from 6am until reaching 1pm when a point is reached at which the downlink from Mars arrives too late in the day to plan the next sol’s activities and generate commands by the end of the shift. In these cases, the ground cycle slips to the next available ground team shift. Tactical science operations will be lost every other sol. However, other science operations that don’t require sol-to-sol planning can still be executed. This phase is expected to occur on 12 sols of every 36-sol Earth Mars Phasing Cycle. 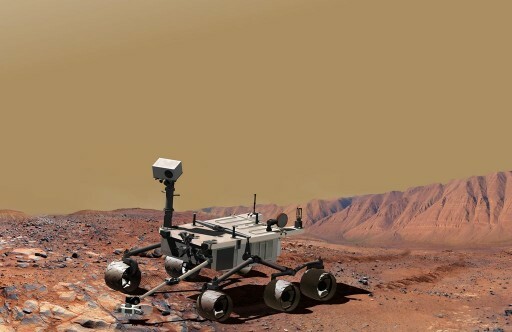 On Mars, science time is also facing limitations during certain portions of the Martian Year such as the winter period when more energy is required to keep the vehicle heated in order to maintain thermal red-lines. Also, science operations in winter slip to the afternoon hours as large actuators are reaching the minimum operating temperature late in the day making it impossible to utilize sol-to-sol planning. Sols that are not available for tactical science operations or other science activities are dedicated to maintenance, decontamination and calibration in order to conserve time that is actually available for science procedures. 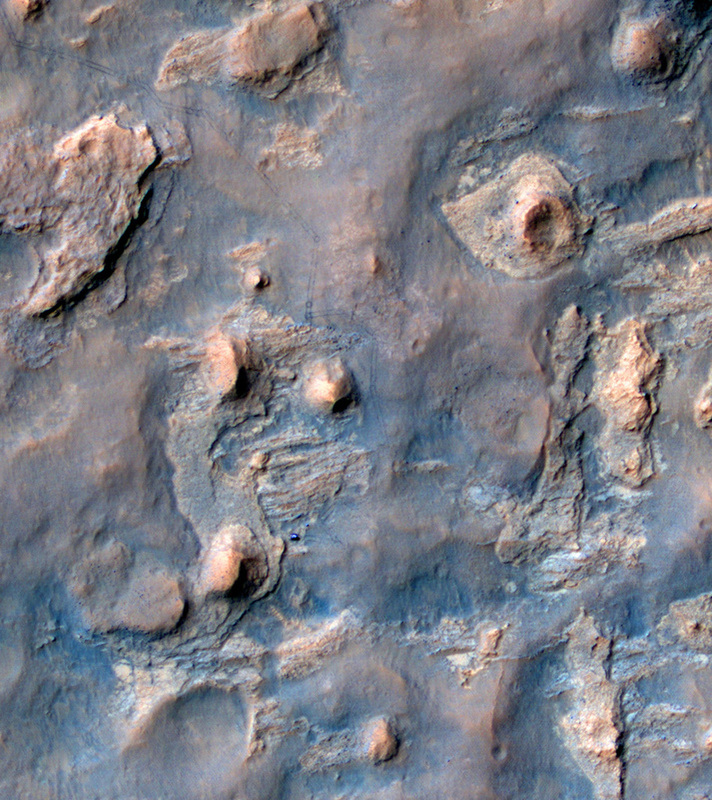 Driving is the dominant activity on these sols. The Rover is expected to drive 50m per sol. Traverse Sols start with a set of targeted ChemCam Readings. The roving path is determined by using engineering camera data received on the previous sol. 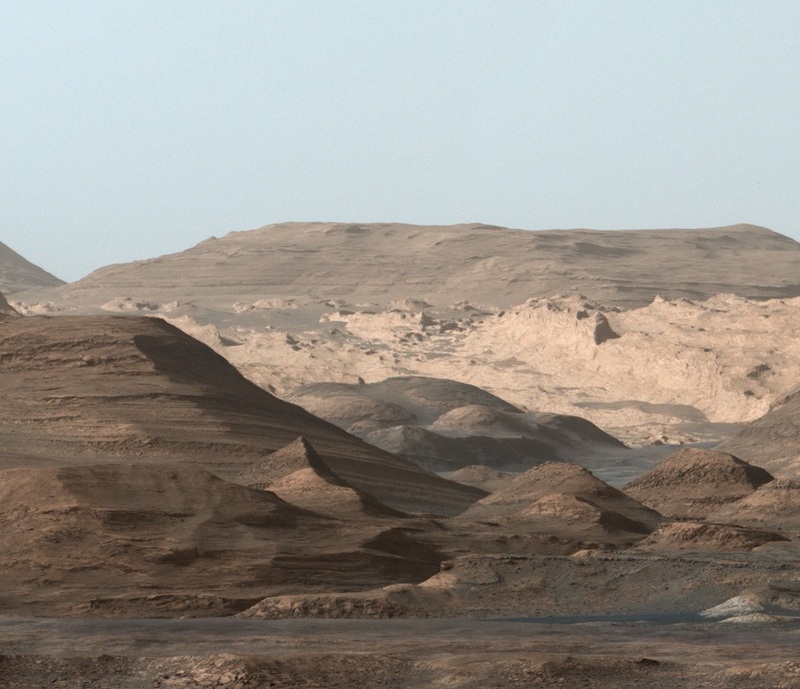 During the traverse, DAN periodically gathers data and Mastcam generates periodic still images (Panoramas). 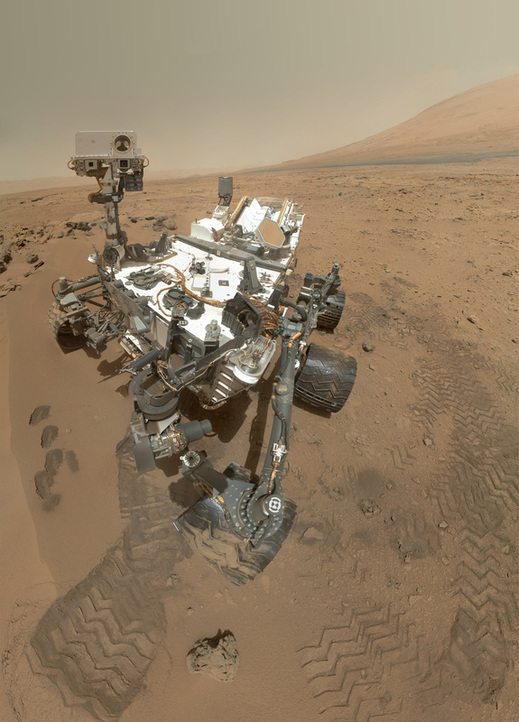 At the end of the Traverse, the rover automatically generates Mastcam and NavCam Panoramas and Hazard Avoidance Camera Stereo Pairs. Also, a set of non-targeted CheCam observations are carried out. These sols initiate the detailed examination of a target by performing remote sensing analyses and generate remote sensing data that can be analyzed by the science team. Engineers will use these data sets to plan the next steps. A reconnaissance day begins with targeted ChemCam readings, followed by arm deployment that was commanded by the science team based on HazCam Imagery from a previous sol, and the acquisition of a MAHLI Observation in 3D. 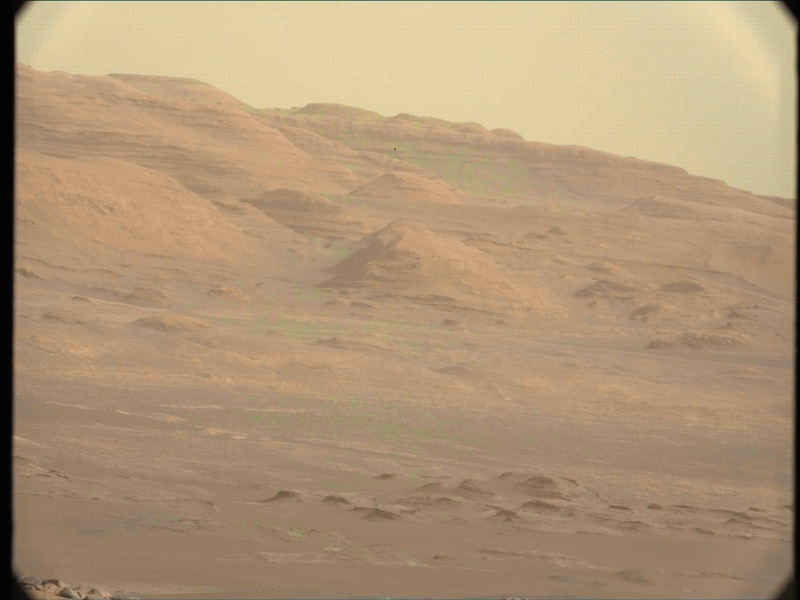 MastCam and NavCam Panoramas are also taken and the APXS instrument remains deployed for a long integration. These types of sols are used to place a targeted rock or soil area within the robotic arm’s workspace to prepare for science activities. Targets are identified on previous sols and can be reached within one sol if a target is less than 10m away from the rover. ChemCam observations, short APXS readings and the acquisition of MAHLI Imagery begin an approach sol. After driving, MastCam and NavCam Photography is taken and DAN acquires active measurements at the new location and during the approach. Contact Sols feature science operations with the instruments that are installed on the robotic arm. Approach data is used to select a specific target that is analyzed by APXS and MAHLI. The target is cleaned by using DRT and MAHLI and APXS analyses are repeated (APXS with a longer integration for more accurate data). 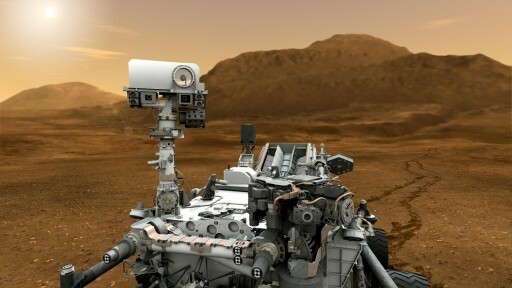 MastCam and ChemCam provide spectral observations and HazCam Imagery is acquired to document the activities of the robotic arm. On these sols, activities are performed that are concerned with sample acquisition, processing and distribution. The drill acquires a cleaning sample near the actual science location to perform measurements to avoid internal contamination. Next, the science sample is retrieved, processed inside CHIMRA and distributed to CheMin and SAM. Remaining sample material is placed on the empty observation tray. MAHLI and APXS conduct contact analyses of the sample on the observation tray. SAM and CheMin complete their examination of the sample over several sols due to energy, data volume and time limitations. There is a variety of other sol types dedicated to the operation of other instruments and devices. Mission activities will not be on a fixed schedule. Mission events and limitation will drive the science planning process. After establishing the landed operations configuration and checking out all systems, the science phase begins with mission planners working on Martian Time shifting their work day 40 minutes earlier each day. This phase will be a learning phase for the ground team to ‘get to know’ the vehicle and the turnaround science planning process. After this initial period, the mission is controlled via a distributed operations network with the central operations institution being NASA’s Jet Propulsion Laboratory. The remote science teams can work from their home institution for the bigger part of the mission this way. For the second 90 days of the mission, 7-day work weeks will be needed to provide the tactical science support that is required. After that, the teams transition to 5-day work weeks preparing multi-sol plans and commands to be executed by the rover on weekends or holidays. 24/7 contingency support is available at all times in the mission. Mission Planning is divided into two sectors: tactical science planning for the development of short term science operations on a rapid basis (one-sol operations, rapid turnaround of downlink/uplink data) and strategical planning looking at long term rover operations to guide the tactical branch and refine the science turnout of the mission.